So the name is something of a double entendre. Lots of fun for you and your friends. By pressing the head downward the jackass will extend a cigarette for your guests. Movable head and tail, design shows Mexican wearing large hat and shawl sitting on the jackass. Silk screen picture. Four flashy colors bring out every detail. A swell gift for anyone. Order now. Be the first to own one. Send cash or money order when ordering; you save postage and C.O.D. fee. Sent C.O.D. plus charge. PRICE $2.00. SPECIAL OFFER TWO FOR $3.50 $16.80 a doz. Special price in larger quantities. 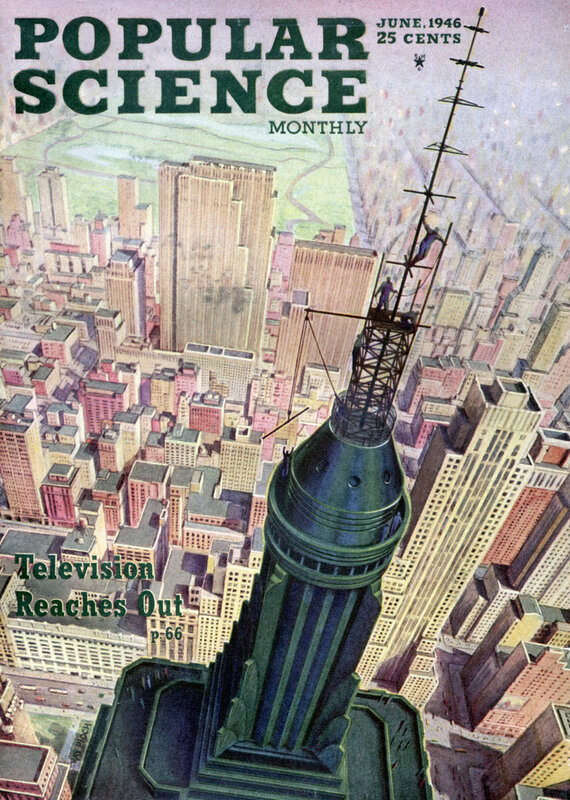 800 Eighth Avenue, Department New York 19. N. Y. You can still buy a version of this. http://www.1-800-getsil… “A swell gift for anyone.” Order one for Uncle Wheezy or Iron Lung Larry today! I used to have one. I think I got it at American Science and Surplus. 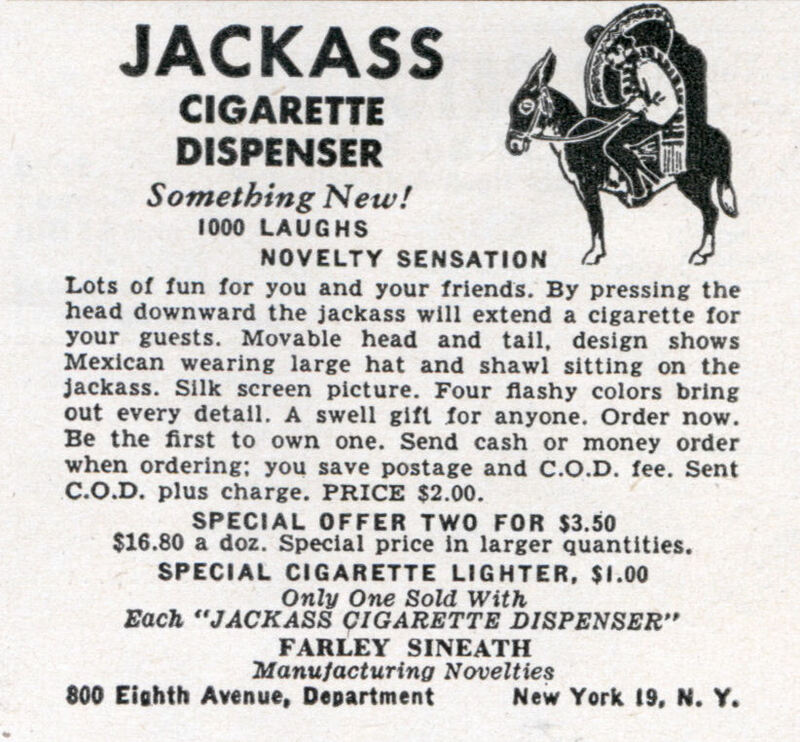 Jackass cigarette dispenser, perfect for dispensing cigarettes to jackasses.